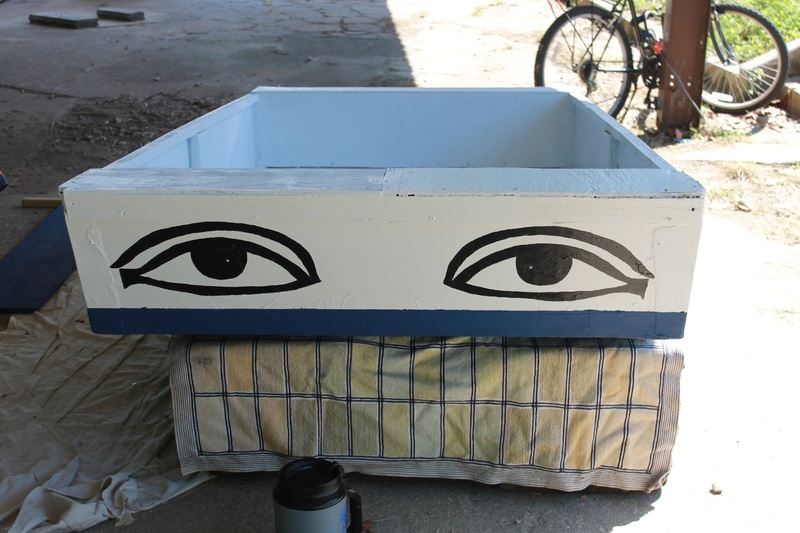 So today we began to prep our beloved Puddleduck Racer "Dharma Duck" to pull for the season, and I thought I'd do a bit of an update on how the construction has held up. Dharma Duck on her very first sail. 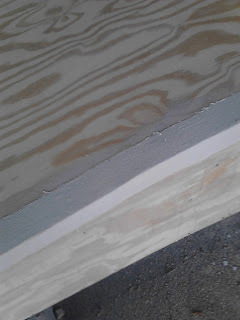 We built the boat on a shoestring, including canvas taping on the seams and construction of just regular exterior ply. Despite having lived in the water at our stern for months and having periodically been filled with rainwater, I'm very pleased to report that the little PDRacer has weathered just fine, thank you. The seams are intact and tight, most of the paint has held up well, and the bottom paint has kept her clean even through our rather nasty Zebra Mussel invasion. All in all, I'm quite happy. 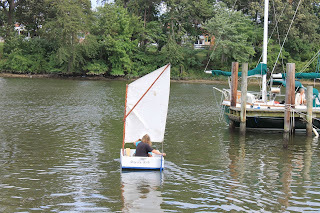 So our little Duck will sit on shore under the awning for the winter, and then we will re-splash her with a bit more paint and better sails in the spring. Have I mentioned I love living on the water? Hey, new stuff over at Life, Art, Water. Check it out. Last Harvest of the Season II: Sunchokes!!! Foraging for Alcohol IV: Here we go again!